Is it the influence of the "Green Movement?" Or is it the growing concern over the economy? Or perhaps I's just the love of herbs have finally gotten hold of enough people to create the interest in herb gardening we see today. 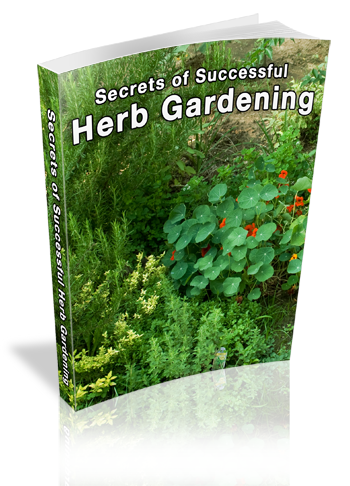 Whatever reason brings you to desire -- or even consider -- growing your own herbs . . . your health . . . your culinary tastes . . . just plain beauty. .. Congratulations! You're about to enter a wonderfully enchanting view of life, where everyday when you wake up and walk on your deck, terrace or backyard, you'll be touched by visual beauty and fragrance vitality. You'll now have the opportunity to create culinary masterpieces . . .improve your health and that of your family . . . or just enrich your life.